‘Becoming’ is about life inside and outside the White House, from the eyes of the former first lady of the 44th US president. 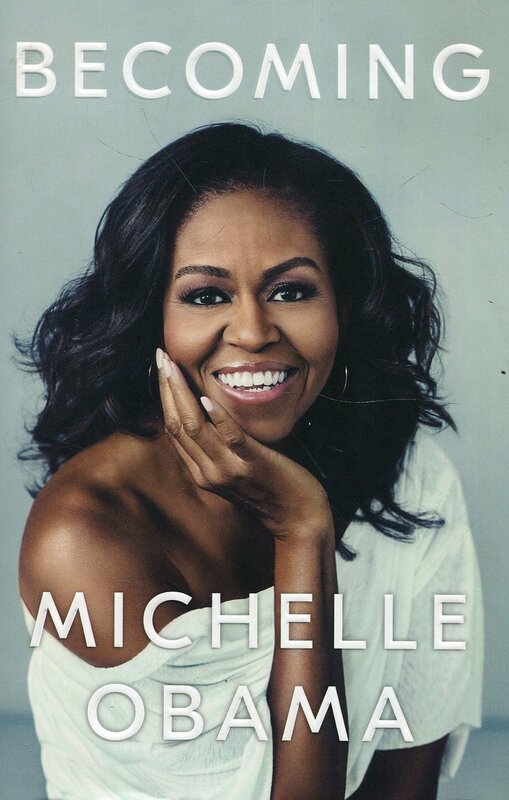 Michelle Obama shares with her readers the struggle to maintain normalcy in her marriage to Barack Obama as he entered the world of politics to become the most powerful man in the world, as well as the fear they both felt as parents projecting their young daughters in to the limelight under the scrutinising lens of the entire world. Michelle takes the reader on a journey from her life growing up in a humble apartment in the Southside of Chicago which was where she lived with her mum, brother and father who had MS. Through her candid account of her upbringing, she shares with us how rejection can be turned into motivation after she was told by a school counsellor she was not Princeton material - she eventually graduated from Harvard Law School. Eventually she realised life as a Lawyer was an unfulfilling career choice and made a u- turn, thus showing us again how life is not set in stone. As a reader, you get a real understanding as to the pressures of being the wife of a president, balancing the mother, wife and First Lady titles, but also what it felt like being the ‘first’ African American family in the White House and the weight that entails. The importance of hard work and a good education is stressed throughout the autobiography, but most importantly, that living in the most famous house in the world comes at a cost; to compromise your normal life and all the ‘freedoms’ that comes with it. This book is a testament to the fact, that in life, anything is possible. These cold winter nights are made for snuggling up in a blanket watching films whilst drinking copious amounts of hot chocolate or cardamom tea - mmm! Our cinema journey has taken us from Hollywood to Bollywood – (the latter being our favourite of course!) We were enchanted by magic of The Greatest Showman , absorbed in the jungles of India with Mowgli – a Netflix original which is a really thrilling take on the Jungle Book like never seen before. We had a barrel of laughs watching ‘Badhai ho’ which is a comedy about a young man (Ayushmann Khurrana) who faces embarrassment in society when his geriatric mother (Neena Gupta) becomes pregnant. It’s one of those films, which serves as pure escapism. Our last photo project and last post of 2018 was a conceptual take on the plague of social media and its affects on our mind, body and spirit. Technology is a double – edged sword and whilst it has given us meaningful connections and inspiring content, it has also been debilitating for us. We have taken measures to limit our time online by deactivating Facebook, organising our contact list on our phone and removing dormant whatsapp groups – all in the name of self-preservation of our energy. Less screen time means we can engage and connect in real life and use the time wisely for meditation, exercise and simply remembering to breathe. Prioritising our mental, physiological and emotional wellbeing is of utmost importance to us this year, and we have re –evaluated how we will use our blog and social media. If like us you are in need of a mast (intoxicating) music fix, then you’ll be pleased to know that Insaan Culture Club are hosting a Qawwali event on Saturday 9th Feb 2019 at 7pm. This is a ticketed event which consists of a lecture by Ally Adnan (ethnomusicologist and renowned expert in Sufism and Qawalli), as well as a performance by the Ghayoor Moiz Mustafa Qawwal from Pakistan. Drinks and snacks will be provided, so don’t miss the opportunity to hear 800 year old Qawwals being performed in an iconic Church in London. See you there! We missed out on a life transforming event earlier this month which was hosted by Rupinder Kaur, founder of AWMB (Asian Women Mean Business). ‘Ignite your life workshop’ is just one of a few workshops that Rupinder has put together in her own home to help Asian women unlock their potential and live the life they desire. We have been IG friends for over 2 years and had the privilege of meeting Rupinder at the end of 2018 and she just oozed enthusiasm and positivity. The image here is the first moment we met and you can just feel her warmth! Rupinder is a mother of two and understands the challenges that working mothers face, but also how becoming a mother can challenge your identity as a woman, your life aspirations and trying to understand who you really are. Her page is full of motivation and guidance to live your best life yet.